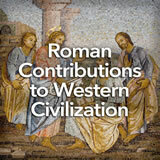 Students identify cultural groups and historical developments in widespread parts of the Roman Empire. Through online research, they investigate the traits and histories of specific barbarian cultures and explain how those peoples affected history. Then, they state and explain their preferences for Roman city versus provincial life. In this experience, students identify cultural groups and historical developments in widespread parts of the Roman Empire. Through online research, they investigate the traits and histories of specific barbarian cultures and explain how those peoples affected history. Then, they state and explain their preferences for Roman city versus provincial life. Identify the location of and political and geographic reasons for growth of Roman territories and expansion of the empire. 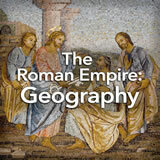 Describe the geographic borders at the height of the Roman Empire. 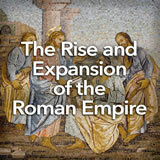 Over its existence, the Roman Empire grew and then shrank. In this experience, you’ll learn where it grew and when. You’ll learn what its provinces were like and the geographical factors behind the empire’s growth and decline. Look at the map and find the red dot. What does the red dot represent? Explain that the dot is the city of Rome. Now add animation to the map by going to Roman Republic Empire. You’ll see the red area expand, be joined by different colors, and then go through more changes. Watch the entire sequence of changes from -510 (510 B.C.E.) 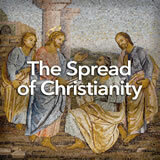 to +530 (530 C.E.). What process do you think this animation shows? 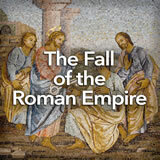 The animation shows the growth and decline of the Roman Republic and Empire.